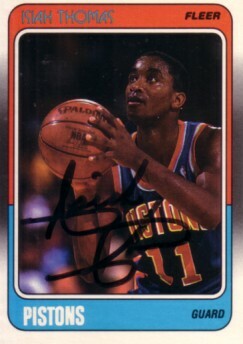 1988-89 Fleer card autographed in black marker by Detroit Pistons Hall of Fame point guard Isiah Thomas (full name signature that he doesn't always sign). With certificate of authenticity from AutographsForSale.com. ONLY ONE AVAILABLE FOR SALE.